With the onset of festive season, try these awesome beauty apps to hide your scars, enhance your eyes or to get going with the on-vogue trends. From virtually trying a trendy make-up look to inviting professional experts for at-home services, beauty mobile applications are the best tool to meet the ongoing needs of beauty industry. Here is a list of five must have beauty apps for the ardent followers of latest trends on vogue. Digitize your make-up fancies with the ‘Lakmé Makeup Pro’ real-time, addictive virtual makeovers. From prepping your skin to apply make-up products like eye shadow and lipsticks, to guiding you with the right colour selection as per the ensemble you are wearing, Lakmé Makeup Pro helps allows you to check how every beauty product looks on you – real-time. Equipped with over 100 real-life cosmetics shades, over 75 Pro-Stylist looks and over 50 product recommendations, the app activates the latest in-facial recognition technology that can transform you in real-time. The app also transform an image from your picture gallery or may also help you get any trendy look sashayed down by a model. One of the most sought-after make-up brands across the globe, Sephora’s incredible beauty app is big on content- offering inspiration, hair and make-up, DIY tips and shopping suggestions for the ardent beauty perfectionists. Acts like a beauty Instagram, the app offers tutorials and make-up product reviews. One can sift through other beauty professionals’ post and findings, as well as, may load your own experiments on it. The app also features Sephora TV which offers how-to videos for hair, beauty, nails and others. Sephora fanatics can also log-in to the Beauty Insider to get rewards and points as well as receive mobile coupons. 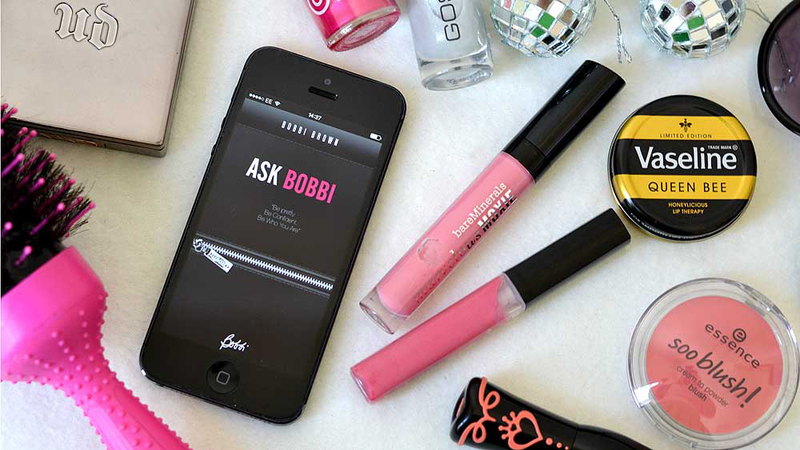 If you can spend hours shopping in Sephora, you'll fall in love with this app at first click. The new-age L'Oreal's make-up app is yet another game-changer of beauty business. The app helps you try on countless smudges of different shades with multiple options to tweak the enhance eye make-up. This app has a real-time camera that allows you to virtually try on any beauty product or shade and acts as a mirror which allows you to experiment with your creativity. Be it the red carpet look of your favourite celebs or a new inspiration of a celebrity make-up artist; download the L'Oréal Makeup Genius and take your imaginations to newer heights. Recently, the app was voted as Best Fashion & Apparels App of 2015, YouCam Makeup market perfect redefines virtual beauty for tens of millions of users. Gone are the days when one has to remove one after the other lipstick shades from the hand or may opt not to play with different eye shadow samples to keep your eyes protected, YouCam Makeup is the smart cosmetic kit, harnessing the most accurate facial mapping technology for a true-to-life virtual makeover. Apply hundreds of cosmetics products in real-time with Makeup Cam or to selfie photos. With YouCam Nails, anyone can be a nail artist! Create hundreds of unique designs by applying polish, drawing patterns, and adding cute nail decals. Try out new styles quickly and easily without the hassle of nail polish remover. This innovative app detects the texture of your skin by accessing the pictures uploaded or captured by you on your smartphone, and gives you a detailed analysis. It suggests products that will benefit your skin, gives you tips to beat growing signs of ageing and the types of foundations you must use as per your skin type and colour. It also gives you an extensive report about your hair and the types of hair care products that will suit you. Organic Tea is Making a Fortune..
How to Boost Sales in Franchise Business..
5 social media marketing suggestions.. Fitness Business- From Akhadas to Gyms..